According to the Southern Poverty Law Center (SPLC), there are now 954 hate groups scattered across all fifty states. Hate groups have one purpose in mind and that is to denigrate an entire class of people based on racial, religious, or sexual orientation. They use fake news, (of course they claim everyone else is doing that if reports oppose them), violent protests, marches, publishing books, making radio and TV appearances, and distributing leaflets. They often claim that everyone else is a racist even after making racist comments. White supremacy has been a problem in this country since its beginnings, and as a result we have had to suffer hundreds of years of crazed thinking. In the United States, whites come in three categories: racists, colorblind racists, and anti-racists. “Colorblind” racists may be nothing more than people that are ignorant enough to believe that racism does not exist. They make believe in their minds that because they don’t see color, or so they claim, that it is non-existent, but reality tells us that white supremacy is everywhere. Some “colorblind” racists are actually liars that are hiding behind a fake wall to make it look like you’re a racist when you complain about a real racist problem. If you are blind to the reality of racism you are in fact contributing to its rise. Many whites are anti-racist and this is what is needed. We need to be aware of these racist and extremist groups and resist them at every level. We need to report them to their employers, the police, the FBI, the media, community activists, political leaders, the media, and above all organize against hate, especially racism. All forms of hate are unacceptable and inexcusable, but racism is the most powerful and seems to be the anchor of most of the other forms. The SPLC reports that, “The number of hate groups rose to 954 in 2017, from 917 in 2016. Within the white supremacist movement, neo-Nazi groups saw the greatest growth – soaring by 22 percent. Anti-Muslim groups rose for a third straight year. Ku Klux Klan groups, meanwhile, fell from 130 groups to 72.” These groups often train in the woods with murderous intent, and some use names that are designed to fool people. There are racist groups and general hate groups named the National Alliance, Kentucky League of the South, American Freedom Law Center, Refugee Resettlement Watch, Truth in Love Project, Team America Political Action Committee, Understanding the Treat, the United West, Virginia Christian Alliance, Dixie Republic, Creativity Movement, OMNI Christian Book Club, Christ or Chaos, Faith and Heritage, Patriotic Flags, and hundreds more. It is important to note that many of these groups use Christianity, as they see it, as a smoke screen to push their hatred in overt and subtle ways. Nazi groups push different agendas. Some of them push outright hatred against Jews and people of color while others push an agenda of fascism and overthrow of the government with a dictatorship in mind. Trump may be particularly important in that idea. Many of them support Donald Trump, as he has said racist and pro-fascist things that yeast up these groups and allow them the opportunity to slither out of the woods. In Texas, there are groups and publications at work trying to organize people into racist conservative action. We have the Aryan Renaissance Society, the Daily Stormer, the Traditionalist Worker Party, Vanguard America, and others associated with racism, Nazism, and fascism. In Texas, we still have active KKK-type groups that are spread out across the state with clear cut names and propaganda styled labels. These groups include Loyal White Knights of the Ku Klux Klan (Houston, Texas), Patriotic Brigade Knights of the Ku Klux Klan (Gladewater, Texas), Texas Rebel Knights of the Ku Klux Klan (Quinlan, Texas), United White Knights of the Ku Klux Klan (New Boston, Texas), and some claim that the Texas Freedom Force is another one of these mobs of ignorant rabble—there are more groups as well. Other racist hate groups across Texas include the American Freedom Party (Granbury, Texas), Soldiers of Odin (Beaumont, Texas), The Right Stuff (Austin Texas), ACT for America (Lewisville, Texas), Patriot Front (State wide), Patriotic Brigade Knights of the Ku Klux Klan (Gladewater, Texas), Carolyn Yeager.net (Kerrville, Texas), Truth in Textbooks (Boerne, Texas), Probe Ministries (Plano, Texas), League of the South (Pointblank, Texas), Yahushua Dual Seed Christian Identity Ministry (Livingston, Texas), Faith and Heritage (Killeen, Texas), the Texas Rebel Knights of the Ku Klux Klan (Quinlan, Texas), and others. One should notice that some of names chosen are designed to fool the general public. According to the SPLC, Texas has about sixty-six hate groups and all are encouraged by the words of the current president. I maintain that there are about 100 and there are tens of thousands of Texans that don’t belong to a racist group but are white supremacists at large. Racists and the radical right have a friend in the White House. This friend empowers them with his own hate speech. President Trump is the clear reason for the increases in hate groups in a very direct way. He has made racist remarks against blacks and Mexicans. In addition, he has made his male extremist views known, is strongly anti-Muslim, makes fun of the handicapped, and is anti-gay. He has even appointed people into top positions with extremist views who have extreme nationalist viewpoints. 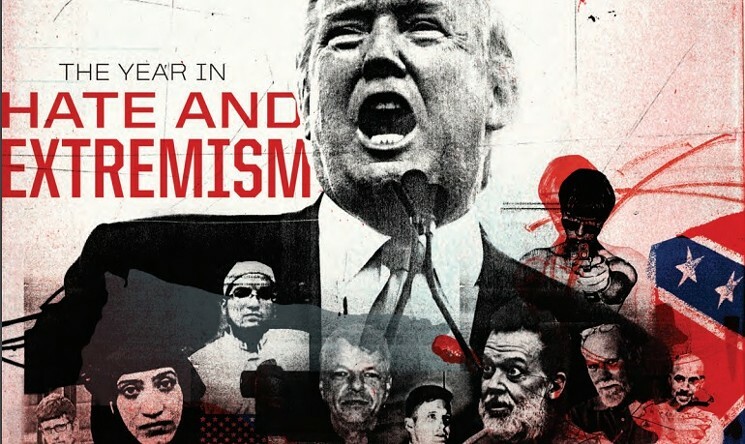 His appointments of extremists include John Bolton, and Ronald Mortenson, associated with an extremist with a group called Center for Immigration Studies (CIS). CIS distributes white racist and white nationalist literature. Trump has appointed many other racists to important staff positions in his now 500 plus days in office that will live in infamy for centuries to come. Disgracefully, Texas has the most Confederate monuments, but we have removed more of these racist symbols than any other state. We know from history that Texas was the most violent of all the southern states in the murder of blacks, Mexicans, Native Americans, and anti-racist whites (Union sympathizers during and after the Civil War). Contrary to popular belief it was not Mississippi or Alabama but Texas that holds the record for extreme violence. It stands to reason that these statues, and the racists that want to keep them up, have erased the real meaning of these monuments. Only an ignorant fool would argue that removing hate fill symbolic structures is erasing history. A few misguided and ignorant people in high places argued such nonsense when the Confederate statue was removed from Travis Park. Now, we must fight back against the threat that Donald Trump has created by his hateful rhetoric. The number 954 will be opposed and eventually reduced.